If there’s one geographic feature in the world that has captured the dreams and aspirations of sailors, traders, kings, queens and entire empires over the centuries; it is the distant sight of Table Mountain. The oceanic view of the famed cloudy mountain appearing on the horizon after a long voyage has always been a moment of euphoria for the sailors. It meant the start of a new direction; a place to relax and refresh before the long journey eastwards to India and China. For over 500 years, the southerly winds of the Cape powered the sails of ships rounding the tip of Africa. Starting out as a refreshment station for the Dutch, the Cape was an integral part of the oceanic trade route with India and China that powered the industrial revolution, and sent humanity on a course for the future. Today, as you fly into Cape Town, the sight of Table Mountain rising up in the middle of the city still ignites excitement and intrigue as it did for sailors for centuries. For its early years, Cape Town had two main harbours—one for summer and one for winter. In summer boats would dock at Table bay to escape the powerful South Eastern blowing around Cape Point. In winter, ships would pull in at the Simon’s Town harbour as it was sheltered from the northerly winds. Today, if you stand on the deck of Tintswalo At Boulders, looking down on the penguins surfing the waves onto the beach below, you can almost see the great wooden ships floating by, filled with sailors desperate to make landfall after many months at sea. In a tribute to these magnificent boats, and the ingenuity which created them, and the spirit of exploration which sailed them, we decided to name each of our rooms after famous ships of the world. Many of these boats would have sailed right past our windows all those years ago, filled with the hopes and dreams of thousands of occupants. After all – there’s a reason why Cape Town was first called, The Cape of Good Hope. The Dromedaris was the famous Dutch East India Company (VOC) ship that first brought Jan van Riebeeck to the Cape in 1652. Having signed a contract to oversee the setting up of a refreshment station to supply Dutch ships on their way to the East, Van Riebeeck was accompanied by 82 men and 8 women—the first official permanent European residents of Cape Town. This room has one of the best views of the sea and penguins below. In March 1782, 150 men, women and children were on board the Grosvenor when it wrecked off the east coast of South Africa. The Grosvenor was swept up in a current and smashed against the rocks off Lambasi Bay. 7 passengers and 91 crew members survived, but only a handful of people made the long walk to Port Elizabeth 600 kilometers south of the wreck. Some were taken in by local tribes, while others were never heard from again. For over 200 years, fortune hunters have been searching for the fabulous treasures that were reputed to have been on the Grosvenor. But the treasure remains a legend. 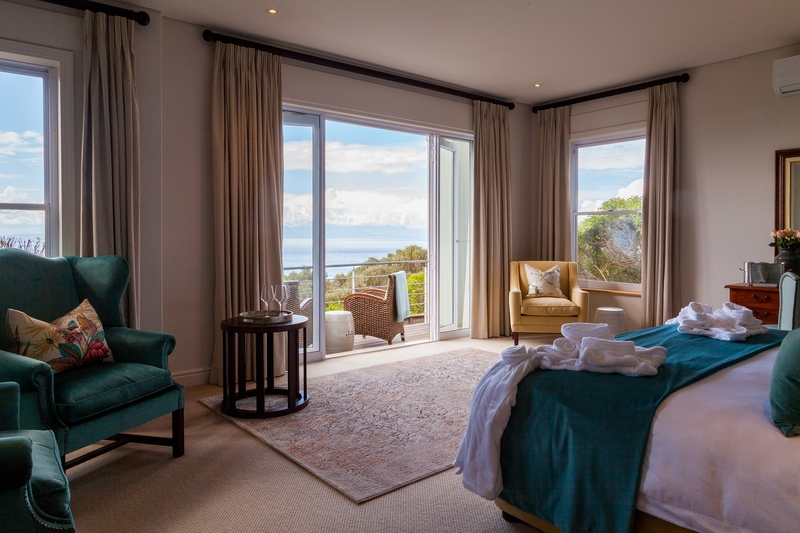 The Grosvener Room is on the bottom floor at Boulders, looking out over False Bay, and sut metres away from the roosting pengins in the coastal forest below. The Bounty is famous for one of the most famous mutinies in history. In April of 1789, Captain William Bligh lost control of his ship when the crew got sick of Bligh’s tough command style. 18 men overpowered the captain, threatened his life, and set him adrift on a small boat with 18 loyal men. Bligh and his men navigated 3,618 nautical miles over 47 days and arrived in Timor to report the mutiny. 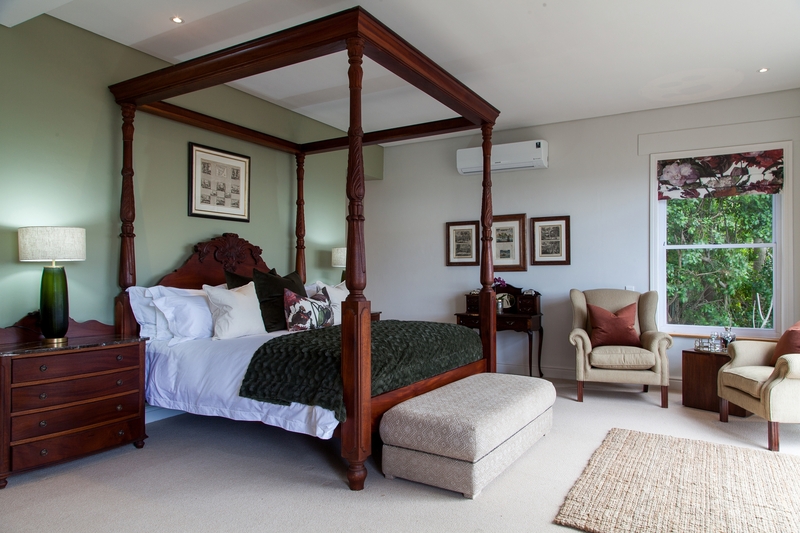 The Bounty Room is a beautiful, spacious, back-facing suite on the B&B side of Tintswalo at Boulders. HMS Endeavour was a British Royal Navy research vessel commanded by Lieutenant James Cook on his first voyage of discovery in Australia from 1768 to 1771. In April 1770, Endeavour became the first ship to reach the east coast of Australia. The Endeavour rounded the Cape of Good Hope on its return journey on 13 March 1771, and reached the English port of Dover on 12 July. It was a three-year journey. 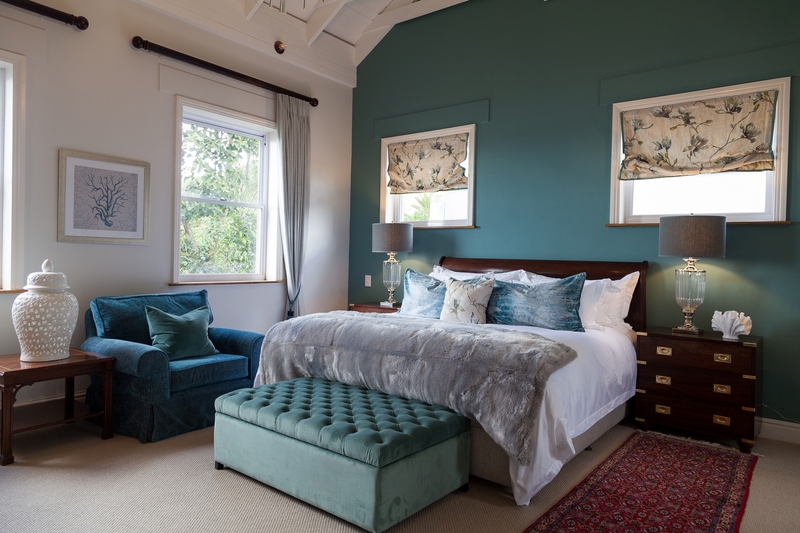 The Endeavour room is a beautiful twin-bed sea facing room on the bottom floor at Boulders, with easy access to the gate and penguin boardwalk below. The Mary Rose was a famous British Naval warship. It was said to be King Henry VIII favourite ship, and fought its first battle in 1512 against France. It fought many more over the next 34 years. Mary Rose’s life came to an abrupt end on 19 July 1545, when it sank during the Battle of the Solent. Legend says that Henry VIII watched in horror as the ship sank. Our room looks out over the blue Indian Ocean, so maybe take a moment of silence for the lost soldiers that perished on the day. Built on the River Clyde in 1869, Cutty Sark was a British clipper ship – one of the last tea clippers to be built and one of the fastest, coming at the end of a long period of design development, which halted as sailing ships gave way to steam propulsion. The Cutty Sark room is a unique space on the top floor at Boulders, opposite Drommedaris. The Mayflower was an English ship that famously transported the first English Pilgrims from Plymouth, England to the New World in 1620. This pioneering expedition was made up of 102 passengers and the crew, and the ship has become a cultural icon in the history of the United States. The Pilgrims signed the Mayflower Compact, a document which established a rudimentary form of democracy with each member contributing to the welfare of the community. The Mayflower Room is a beautiful large corner suite on the bottom floor at Boulders, with beautiful views of the ocean and its own private terrace. HMS Victory is a 104-gun Royal Navy ship that was launched in 1765. She played a big part in Lord Nelson’s Battle of Trafalgar on 21 October 1805, a battle which claimed his life. He was fatally shot by a French sailor. After being shot, Nelson was carried to the Orlop Deck to get medical attention, but he died three hours later — an iconic moment in history. Despite the great loss, the British still claim victory on the day. The Victory Room is a beautiful suite on the middle floor at Boulders with its own sunroom and courtyard. Waterwitch was an exploration vessel once owned by 19th century British explorer Frank James Linsly. James was known for his trips in Sudan, Somalia, India and Mexico, where he often sailed his private yacht Lancashire Witch. In 1894 the Lancashire Witch was purchased by the Admiralty and became the survey vessel HMS Waterwitch. 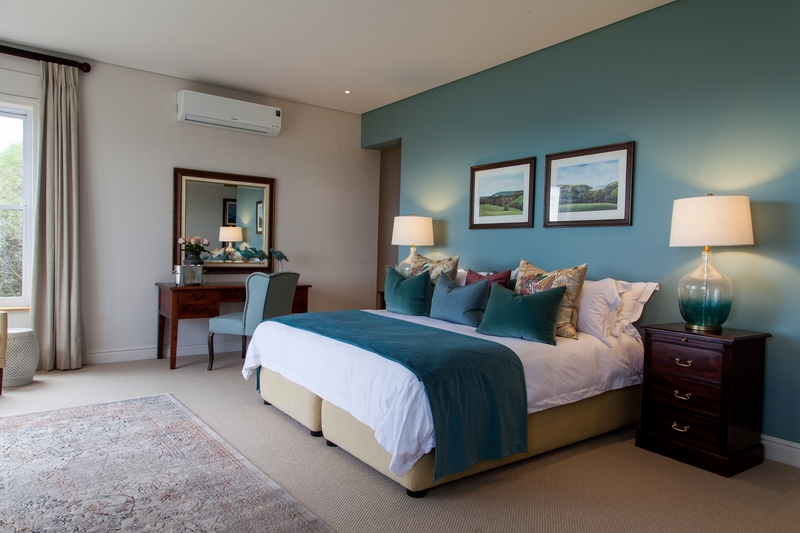 The Waterwitch Room is a top corner suite with spectacular views of the ocean, and a direct line of site to the penguin colonies surfing onto the beach below.